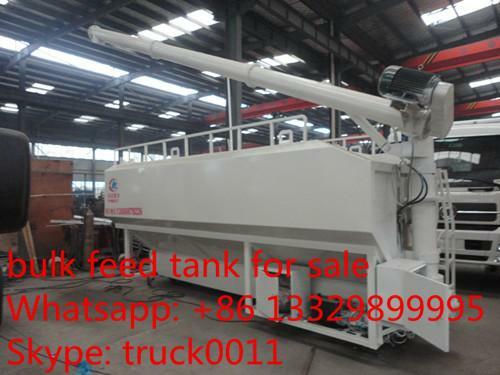 Remark:at present, our feed trucks adopts electronic auger type for the high productiveness, easy maintenance and fewer breakdowns of electronic auger. 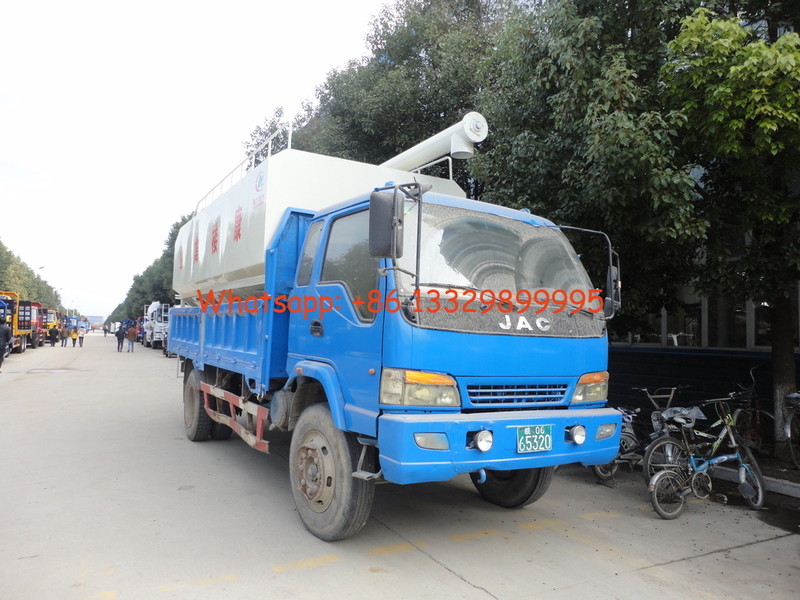 a, for the electronic auger type feed truck, first connect the external power- 380Volts correctly. Then check whether the direction of rotation accordance with the Rotary marking, if not, turn the reversing knob on the Control panel to change; if the direction is wrong, cannot operate discharging. Remark: when maintain or change the electronic motor, check the direction of rotation, assuring the auger direction of rotation is line with marking. b, before discharging, adjust the auger pipe of the outlet port to the correct position. And the upper auger pipe can be adjusted to the suitable height by the two buttons “ start up” and “start down”, then adjust the direction by” left-right Rotary: button. Before adjusting, press the button” start hydraulic”, then control up-down and left-right rotary. Before adjusting, first press the button” start hydraulic” to start the hydraulic motor. After finished, remember to press” stop hydraulic” stop the hydraulic motor. Remark: cannot start the “left-right rotary” button if the discharging auger haven’t been lifting, otherwise maybe destroy the rotary system. 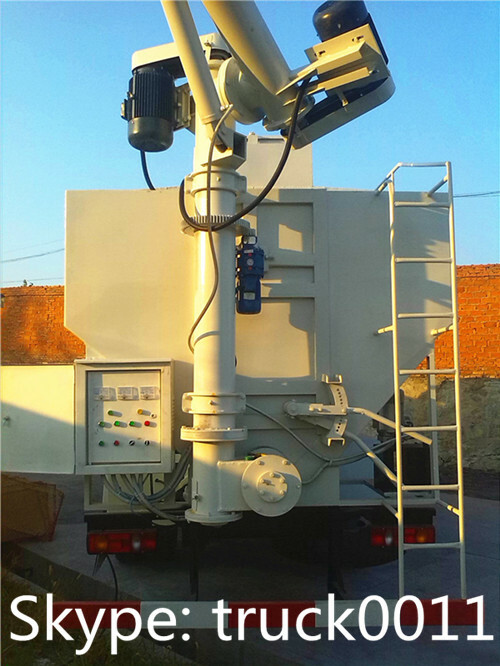 c, start the discharging motor as step 4, when starting all the motors, pull manual valve operation arm of the discharging compartment; control the valve opening properly, making sure discharging smoothly; finish the discharging feed works of different compartments in turn. Remark: if don’t operate as the procedures above, otherwise block the feeding line, destroy the electronic motor. e, the procedure to stop the discharging is to press the suitable buttons reversely, that is to say “ stop feeding” →”stop lifting” → “stop outputting”. Then adjust the output auger to reset, at last press the button “ stop hydraulic”. 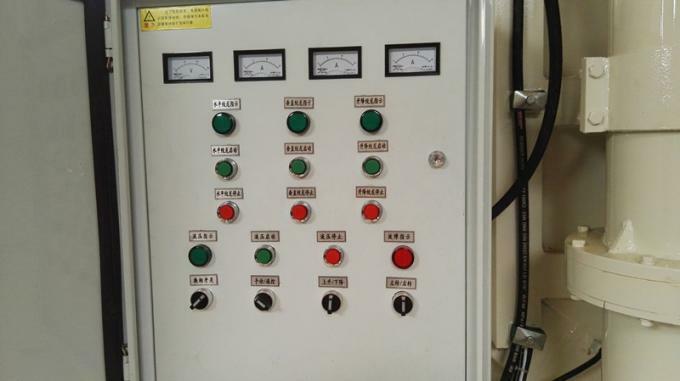 A refers to discharging electronic motor ammeter, we can estimate the working condition of the electronic motor and the surplus of the compartments according to the indicator of the ammeter. 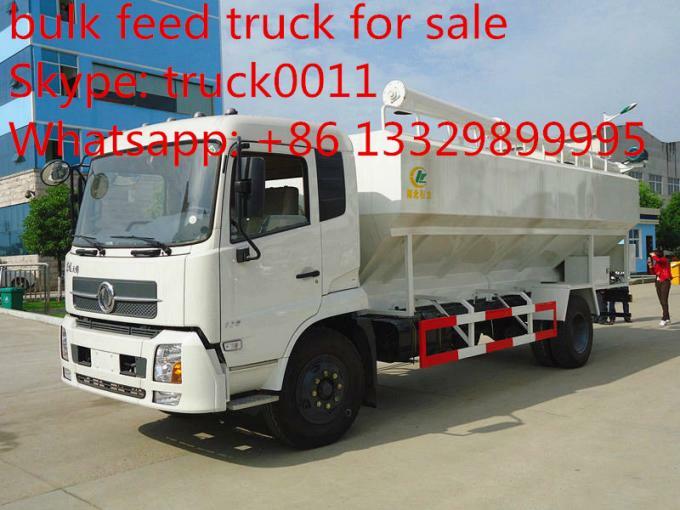 Please using the truck according to the using procedures, people unfamiliar with the operation regulations cannot operate the truck without authorization. 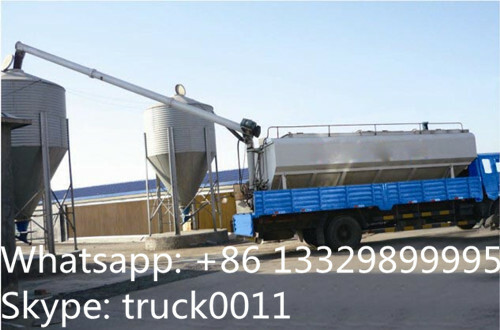 Adding some grease to grease mouth, rotating gear and the place to fixing lifting auger periodically, let the operating units in lubricating condition. After discharging, let he outlet pipe to the original place, avoiding crashing or shifting weight when transporting. 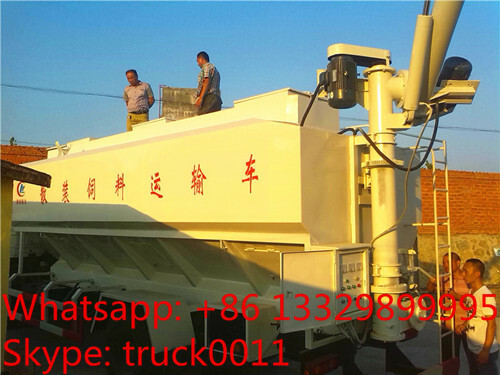 The electronic motors and the generator on the feed truck are not waterproof equipments, cannot wash by water and also pay attention to waterproof. Check the bolts fasten beam and other fasten units frequently. If there is any loosening, please fasten. there is object inside the auger, open the accessing opening to clean out objects. Auger bearing burn, change burn bearing and assure in normal lubrication. Hydraulic valve stuck, clean the hydraulic valve and change the hydraulic oil.